Virginia Tech filed an application with exhibits for experimental license to operate on several frequency bands: roughly, in the 160, 220, 410, 470, 800, 900, 1850, 1950, and 3500 MHz range. This is for its CORNET cognitive radio network test bed, which is for the use of researchers evaluating cognitive radio engines, sensing techniques, applications, protocols, performance metrics, and algorithms in a real-world environment. The test bed has 48 nodes distributed on four floors of a campus building. Nodes consist of an Ettus Research USRP2 software-defined radio (SDR), or similar, each with a wideband antenna. Frequency, operating mode, and protocols are controlled by computer through a wired connection. “Mobile” units are used in the building to evaluate handoff and interference characteristics. BAE Systems filed an application with exhibit for special temporary authority to test a new version of the Army’s Ground Mobile Radio. Testing will take place in Wayne, New Jersey on 287 and 425 MHz. The University of Wyoming filed an application with exhibits for experimental license to operate radios on 401.65 MHz in support of sage-grouse research in the Bighorn Basin of Wyoming. The study will monitor the effects of bentonite clay mining on sage-grouse by comparing hen survival, nest survival, and brood survival in an area actively mined to a reference area where mining is not taking place. The study will monitor the movement of about 50 birds in each study area. Each sage-grouse will be fitted with a 22-gram solar-powered integrated GPS receiver and UHF transmitter manufactured by Microwave Telemetry. The device records two-dimensional location data and transmits it at intervals. L3 Communications filed an application with exhibits on behalf of the National Institute of Justice (NIJ) for special temporary authority to conduct demonstrations of prototype cognitive radio technology developed by university researchers and funded by NIJ. The technology is being developed to improve public safety and law enforcement communications. Frequency bands around 462, 769, 799, 2412, 4940, and 5150 MHz will be used. The demonstrations include cognitive channel management, radio-channel waveform identification, and reconfigurable OFDM waveforms. Raytheon Network Centric Systems filed an application with exhibit for special temporary authority to test a high-speed data-gateway radio system that operates in TV white space. It uses 12 channels, each 1.2 MHz wide. Operation will be in several California cities on 470-698 MHz (TV channels 14-51). General Dynamics filed an application with exhibit for experimental license to test digital data links for the use of unmanned aircraft systems (UASs). The new links are designed to allow higher concentrations of unmanned aerial vehicles (UAVs) in the same battle space. Testing will occur in South Carolina and Vermont on 1760-1850 and 2202-2290 MHz. TerreStar filed an application with exhibit for special temporary authority to operate a prototype transceiver for automobiles. TerreStar operates a 2 GHz satellite (TerreStar-1). 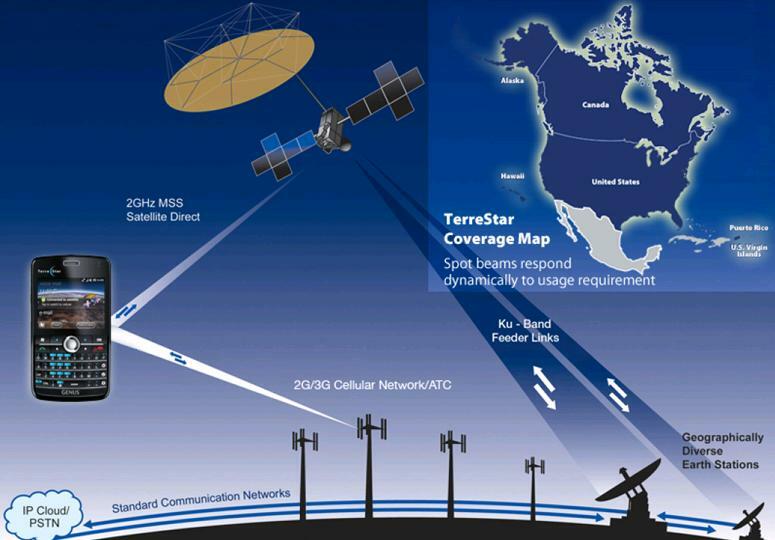 In connection with providing services over the satellite, TerreStar is working with a vendor to develop and bring to market an automotive kit composed of a transceiver and a cradle for TerreStar’s GENUS satellite smartphone (currently marketed as Satellite Augmented Mobility (SAM) by AT&T). 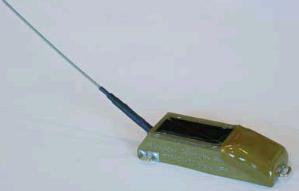 The transceiver and cradle will be mounted in an automobile and a roof-mounted antenna added. The transceiver will transmit on 2005-2010 MHz using linear polarization and will receive on 2195-2200 MHz using left-hand circular polarization; these frequency bands have been allocated for use by TerreStar-1 to provide mobile satellite service (MSS). Operation will be at various locations throughout the continental United States. ZAI filed an application with exhibit for special temporary authority to test an ultra-wideband (UWB) vehicle-mounted radar system for identifying roadside threats and obstacles. The hardware is manufactured by Time Domain Corporation and operates on 3100-5600 MHz. Testing will be done in Jefferson, Maryland. The device generates a signal that is pulse-position modulated; the position of the modulated pulse varies randomly in time producing an approximate Gaussian noise signal. Integral Systems Inc. filed an application with exhibits for experimental license to test a transportable Rapid Attack Identification Detection Reporting System (RAIDRS). RAIDRS consists of a central operating location and a variety of transportable antennas deployed around the world to detect, characterize, geolocate, and report sources of RF interference to U.S. military and commercial satellites. In the test, the RAIDRS will be connected to a transportable satellite terminal and linked to an earth station through an X-band or Ku-band satellite transponder. Link quality will be measured and recorded continuously to isolate any communications link failures. Data rates for the test will be 4352 and 8192 Kbps. Operation will be on 7.9-8.4 and 14.0-14.5 GHz. Teledyne Brown Engineering filed an application with exhibits for special temporary authority to experiment with Degraded Visual Environment (DVE) radar, intended to allow helicopter pilots to have a visual representation of the ground when it is obscured. It also serves as an altimeter. Testing will take place on 35.2 GHz at Huntsville, Alabama. Google filed an application for special temporary authority to conduct experiments of advanced driver assistance systems it’s developing. Each test vehicle contains several radars, operating in the 76.0-77.0 GHz band, that are used to sense the environment. The vehicles will be driven through a variety of traffic situations, including along freeways, on urban streets, and through complex intersections. Google suggests one test would be for the case when a vehicle is about to make a right turn on to a busy road; a left-sensing radar would inform the vehicle to allow high-speed traffic to pass before proceeding. This entry was posted on Tuesday, March 15th, 2011 at 9:37 am and is filed under Automotive, Aviation, Cognitive Radio, Dynamic Spectrum Access, Electronic Warfare, Experimental, GPS, Interference, Land Mobile, Military, Millimeter-wave, Modulation/Demodulation, Public Safety, Radar, Radiolocation, Satellite, Telemetry, UAS, UAV, Ultra-wideband, White Space. You can follow any responses to this entry through the RSS 2.0 feed. You can leave a response, or trackback from your own site.